Arctic Fox Hair Dye is one of the longest lasting semi-permanent hair dyes on the market and has been tested against other brands. If you want a bold new look, this is the product to try. 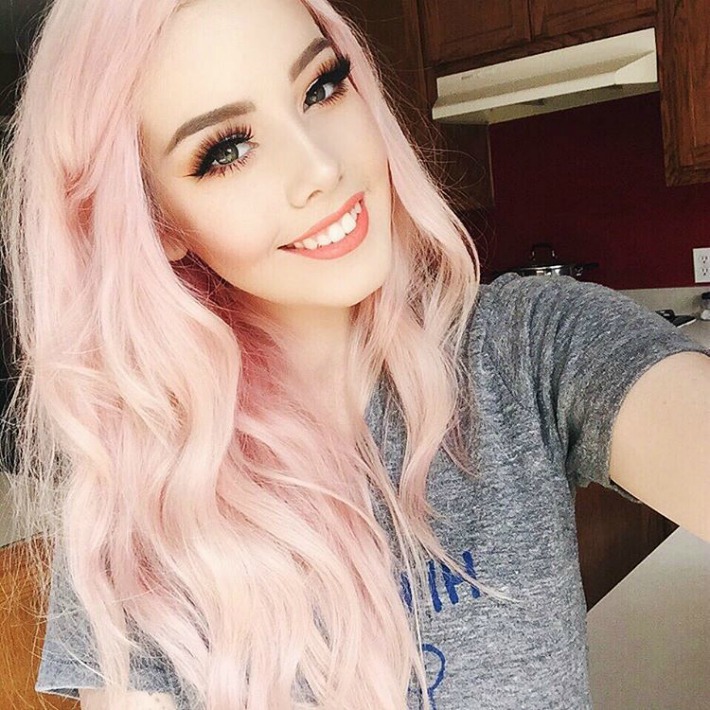 The arctic fox hair dye company, founded by Kristen Leanne, boasts that all its dyes are vegan and 100% cruelty-free. The dyes are also free of alcohols that may dry out the hair, and they are also free of PPDs (p-phenylenediamine, also known as coal tar, which is used in many hair dyes as a darkening agent), and harsh chemicals. In addition to these perks, the company donates 15% of its proceeds to various organizations that work towards ending animal abuse so in buying their products you support a great cause. Dying your hair is an intricate process. If you are nervous about how the color will come out on your hair, I would suggest the Strand test (instructions for the strand test can be found below instructions for hair dying). If you’re ready to get dying, here are the instructions, step by step, as recommended by the arctic fox website. Shampoo your hair thoroughly, but do not condition it, but dry your hair thoroughly. Use coconut oil, vaseline, or another protective cream around your hairline to protect your skin from being stained. Pour the desired amount of your dye into a bowl and then put on protective gloves. Begin applying the dye, as evenly as possible with your color brush. Work from the root to the ends, beginning at the nape of the neck and working upwards. After you have colored your hair the desired amount, place a plastic cap over your hair and leave it on for at least a half an hour (due to the lacking of harsh chemicals in the Arctic Fox hair dyes, it is perfectly safe to leave the dye in longer). Once the hair is set, remove the cap and rinse your hair (it is recommended that for your first rinse, you just rinse in the sink, not in the shower. You want to rinse your hair until the water runs clear. Wait for your hair to fully dry before sleeping, if your skin was stained, you can remove the stain with a little rubbing alcohol. The strand test can be used to see how a color will show in your hair. Shampoo your hair, but don’t condition it, and allow it to dry. Section out about one-inch strands of your hair in a hidden place. Evenly distribute dye on your test piece until it becomes frothy. Wrap the dyed hair in tin foil and allow it to sit for 30 minutes. Unwrap the hair and rinse with water until the water runs clear. 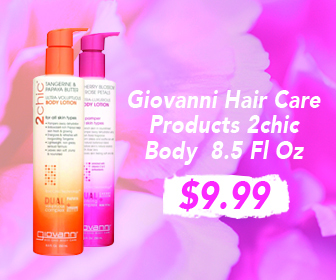 Allow hair to dry and observe the results. 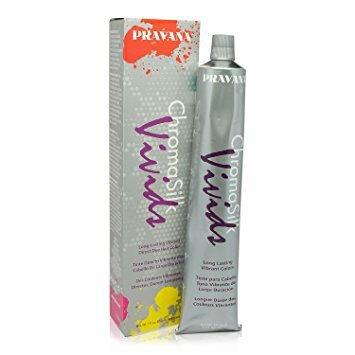 You may find you’ll have to pre-lighten your hair and you might want to mix two colors together for your desired result. You may even want to experiment and dilute your dye with Arctic Mist. How Long Does Arctic Fox Hair Dye Last? According to the Arctic Fox website, your dye can last anywhere from four to eight weeks, with proper care. 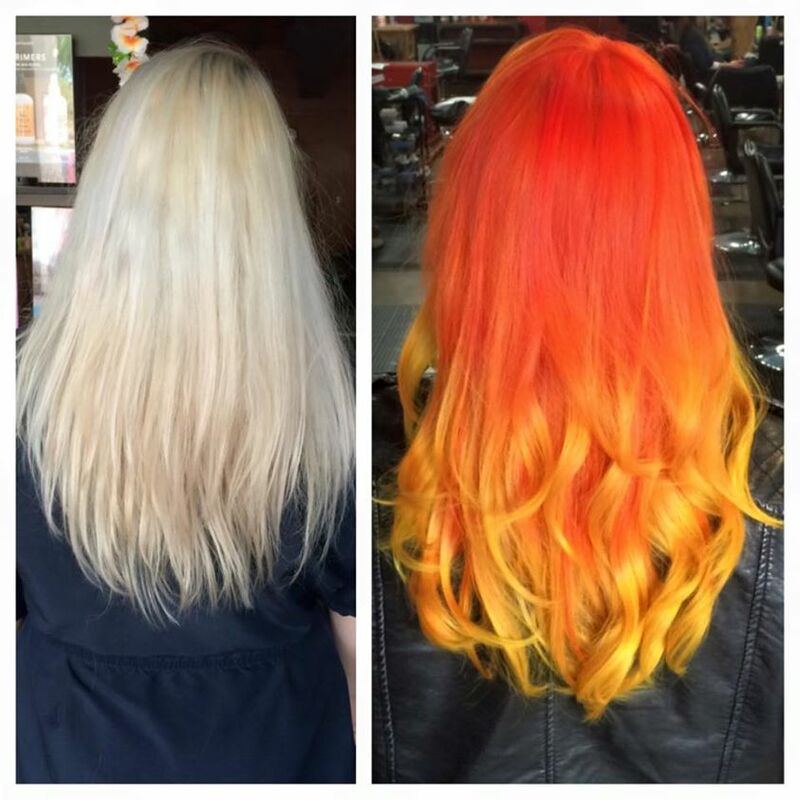 Here are five quick tips to keep your color bright for a longer period of time. What colors does Arctic Fox hair dye come in? 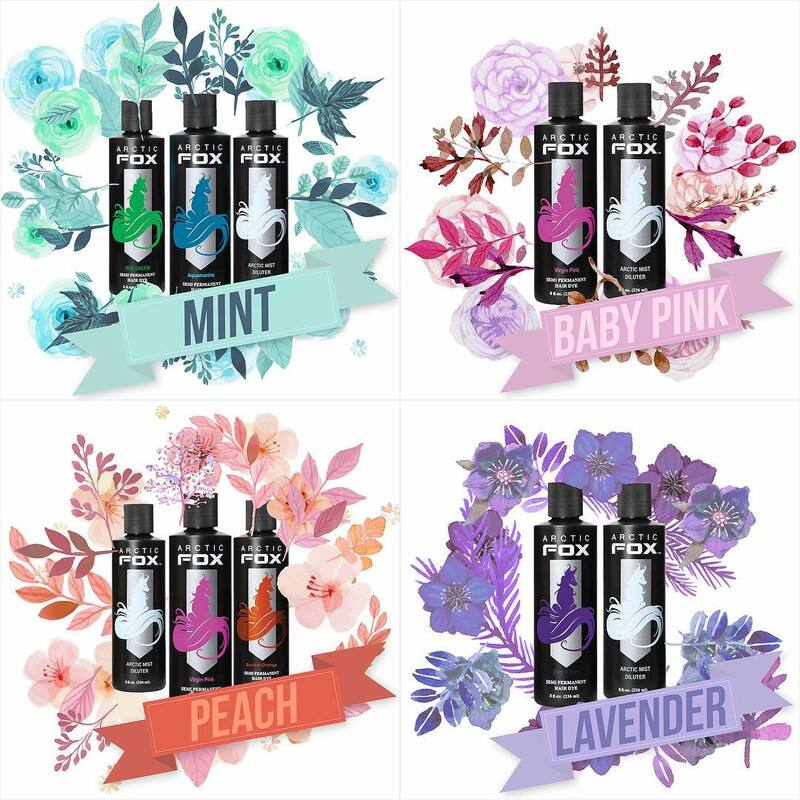 In order to get pastel colors, you can use Arctic Mist, the Arctic Fox brand diluted. To buy artic fox hair dye, click here! You can make your own rose gold using Arctic mist, virgin pink, and cosmic sunshine. Take your bowl and add about a cup of rose gold, a teaspoon of virgin pink, and half a teaspoon of cosmic sunshine. Mix all the colors together and you have some rose gold hair dye! You can create your own ombre effect using Arctic Fox Hair dye. Pick as many colors as you’d like and arrange them lightest to darkest (you can use several different brands of dye, but keep in mind that different brands will affect your hair differently). Start at your roots with the darkest color, and as you work your way down to your tips, use progressively lighter colors. Once you have applied all your colors, use your hands to blend the colors together. 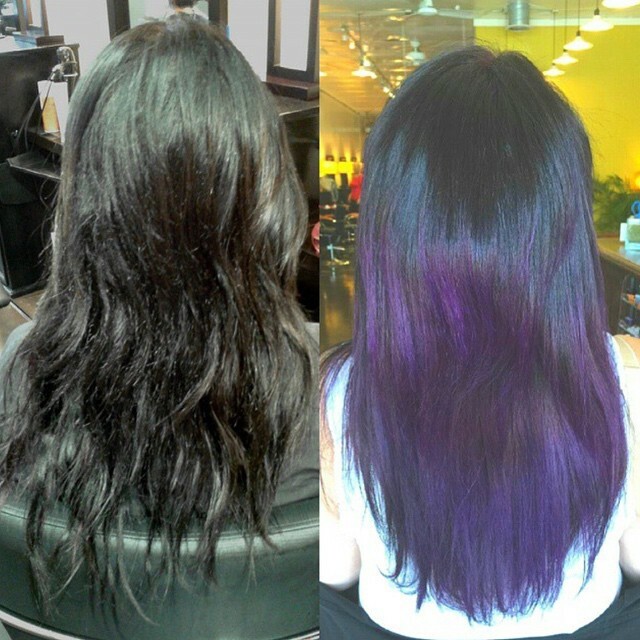 This is one of the most important questions to ask when dying your hair. Due to the fact that Arctic Fox contains no harsh chemicals, and most of the dye is made up of conditioner, the dye does not damage your hair. So here is the deal with Arctic Fox dyes and dark hair – the darker your hair is the less vibrant the colors will be. If you are looking to have super bright colors, but you have darker hair, you should probably use a lightener. Where Can I Buy Arctic Fox Hair Dye? Arctic Fox can be found in Hot Topic, Walmart, and on Amazon. It can be purchased in bottles (4 oz, 8 oz, and 16 oz), and in bundles (these include the dye, a brush, and a bowl). These can range from 10 dollars to 20 dollars. All the swatches can be seen on the front of the bottle so that you know what the exact color of your hair will be. How does Arctic Fox Compare With Other Hair Dyes? Arctic Fox is a great dye in the sense that it keeps your hair healthy and the colors are very rich. It is a semi-permanent dye, however; so one has to redye hair every month or two. Parvana, similarly to Arctic Fox, is very much about using natural ingredients. This dye is very pigmented, and a little bit can go a long way. If too much dye is used it can cause excessive staining. 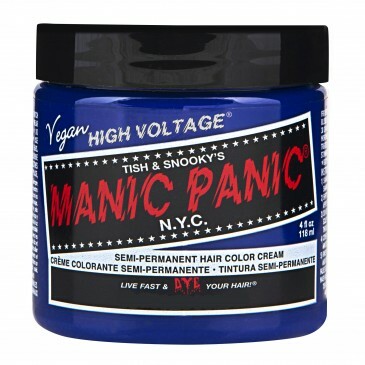 Manic Panic is a vegan and cruelty-free dye, however, they only have a 4 oz package. Manic Panic bleeds into the skin very easily. 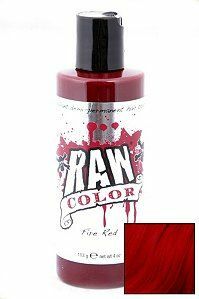 Raw hair dye has very intense color and is about the same price as the other dyes listed. It does stain at first dye but will come out with a little scrubbing. This dye does not make claims to be vegan or cruelty-free. Special Effects hair dye also makes no claims to being vegan or cruelty-free, however, it goes over dark hair without it needing to be bleached. This product does require a bottle or two per dye, which can get expensive, and can be difficult to find. How can I remove arctic fox hair dye? Arctic Fox hair dye can stain the skin, and it can easily be removed with rubbing alcohol. Is Arctic Fox hair dye safe to use on pets? How can I find out if I am allergic to Arctic Fox dyes? Before dying your hair, you may want to check to see if you are allergic to any of the ingredients. You can check the list of ingredients, or try switching it on your skin, allowing it to dry and rinse it after 24 hours. If there is any irritation, it is recommended that you don’t use the dye. Can I use Arctic fox dye if I am pregnant? Arctic Fox hair dyes don’t have the harsh chemicals found in most dyes and is completely safe. But it is recommended you still consult with your doctor before using this product while pregnant and look at the ingredients list. What are the ingredients in Arctic Fox hair dye? Can you use conditioner to dilute Arctic Fox hair dye? Yes, you can use conditioner to safely dilute Arctic Fox dyes. Can you use Arctic Fox hair dye on your eyebrows? Yes, you can, just make sure that you put a protective cream around your brows so that color doesn’t run onto your skin. Does anything have to be added to Arctic Fox hair dye? No, however, the colors are very easy to mix up, which allows for unlimited color combinations.